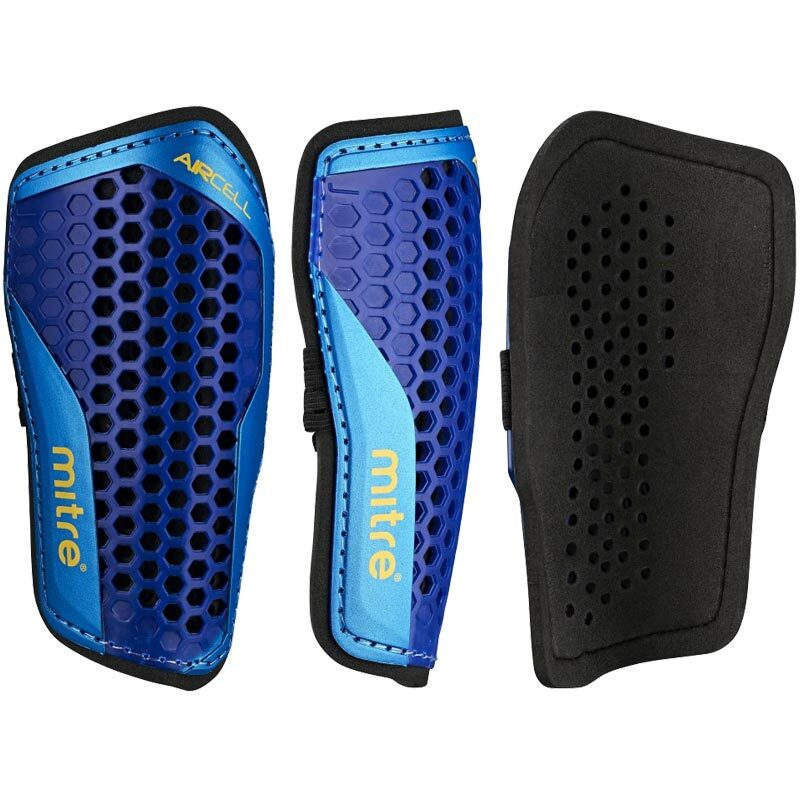 Mitre ® Aircell Carbon Slip Shin Guard, Aircell technology is breathable, keeping you cooler and dryer. Dual density foam absorbs more impact giving you more protection. A combination of style and protection. XSmall - 13cm length 6.5cm width. Small - 14.5cm length 7.5cm width. Large - 18cm length 8.5cm width. Please note - the medium size is incorrectly labelled with the large height. The actual size of the guard is correct. They are very good when a load of football players are crowding round at the start of the match, they save my legs. My nearly ten year old son wears these every week for hockey. Perfect for the job. Thanks. Great shin guards, ideal for young players. 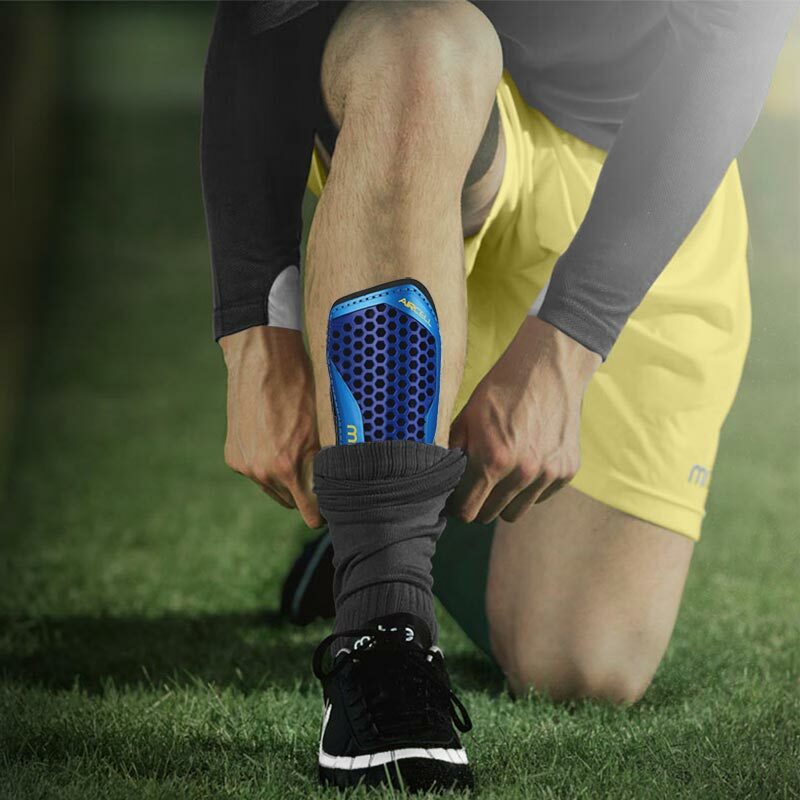 The honeycomb air holes create a very lightweight and strong pair of shin guards.